I bought 4 large peaches from a neighborhood vegetable and fruit stand. It’s the middle of a hot summer and a great time for a peach cobbler. There is a recipe for it by Miss S. Alice Melching in my cookbook from 1877. Alice’s original recipe made a cobbler 9×18 so I halved the ingredients. It called for canned fruit so I cooked the peaches. Peel and slice the peaches. Put them in a kettle with just enough water to cover them. Cook over medium heat. When it comes to a low boil, continue cooking about 5 minutes. Remove from heat. The water has become a very light syrup. To make pie crust for the cobbler, add 2 cups all-purpose flour, 1 teaspoon baking powder, and ¼ teaspoon salt into a medium-sized mixing bowl. Melt 2 tablespoons of lard (I used Crisco shortening) and stir into the dry ingredients. Stir in 2/3 to ¾ cup of milk or water (I used milk) until it is the right consistency for pie crust, which is not too wet and all dry ingredients have been incorporated. Divide the dough into 2 sections—roughly 1/3 and 2/3. The smaller section is the top crust. Mix 3 tablespoons of flour with 2 tablespoons of sugar. Sprinkle this over the crust to keep the fruity filling from seeping into the lower crust. 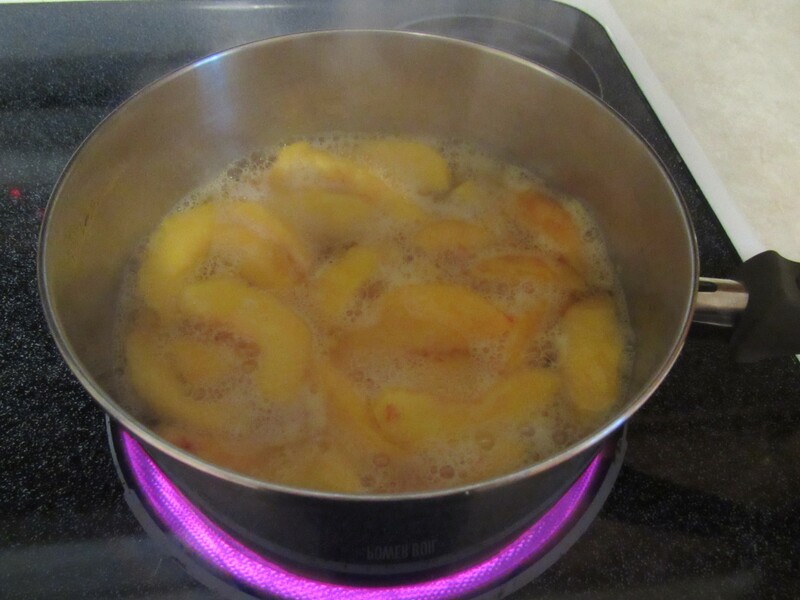 With slotted spoon, remove peaches from kettle. Arrange these over the crust. I took ¼ cup of the syrupy peach water and poured it over the peaches. The original recipe didn’t call for this, but this small amount of liquid added flavor and moisture without destroying the crust. Sprinkle ¾ cup sugar over the peaches. Roll out the rest of the dough and place it over the top. A lattice top will work nicely too. Bake at 400 for 25 – 30 minutes or lightly browned. The peaches cooked perfectly except … there weren’t enough of them. I’d double the amount of peaches for the same sized dish next time. Adding extra syrup (cooking water) to the dish was an excellent call. I added ¼ cup—next time I’d do at least ½ cup, especially with more fruit. 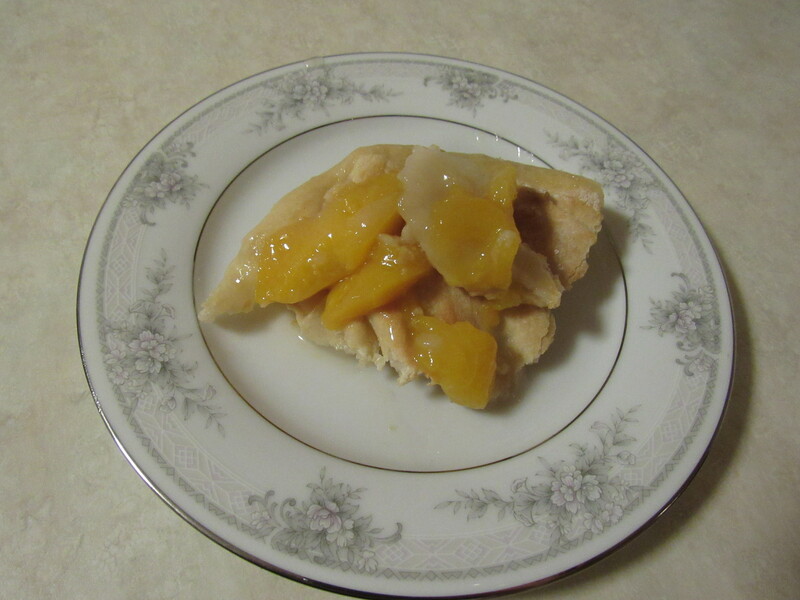 The cobbler tasted delicious, with a wonderful peach aroma and flavor. I will make this summery dessert again. Blackberries, apples, and other fruit can be substituted. If using fresh fruit, cook the fruit for about 5 minutes as above; if canned, there is no need to cook it before baking. 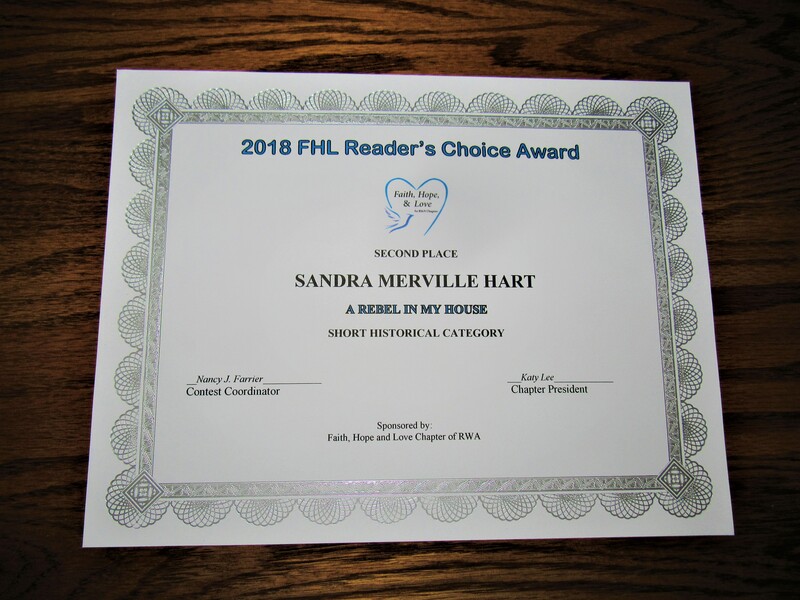 I’m thrilled to announce that A Rebel in My House celebrated its first birthday with another award! 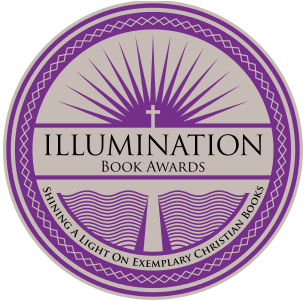 This novel set during the turbulent Battle of Gettysburg won 2nd place in this contest and was named 2018 Finalist Faith Hope & Love Reader’s Choice Award. 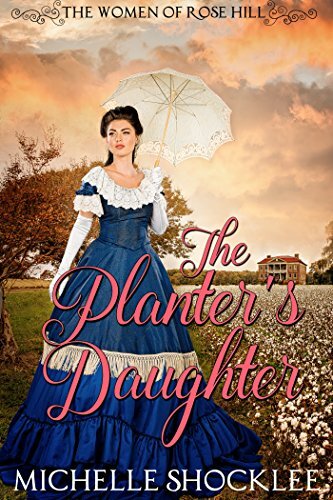 Set in Texas, this historical romance novel digs in and shows prevailing attitude of plantation owners and the slaves they own in 1860. Seth Brantley, son of her father’s friend, takes over the job of overseer. Adella Rose catches his eye immediately. Yet he learns her father had plans for her. While Seth walks a fine line as the new overseer, Adella Rose has problems of her own. Her best friend is one of her father’s slaves. She’s learning more of what slavery really is—and her father’s part in it appalls her. Both main characters grow and change through the novel. Each finds that their preconceived notions of slavery don’t match reality. The author does not shrink from showing the worst aspects of slavery. I couldn’t put the book down. I’ll look for more books by this author. I go through seasonal cycles in cooking. Right now, I’m looking for recipes with blueberries. 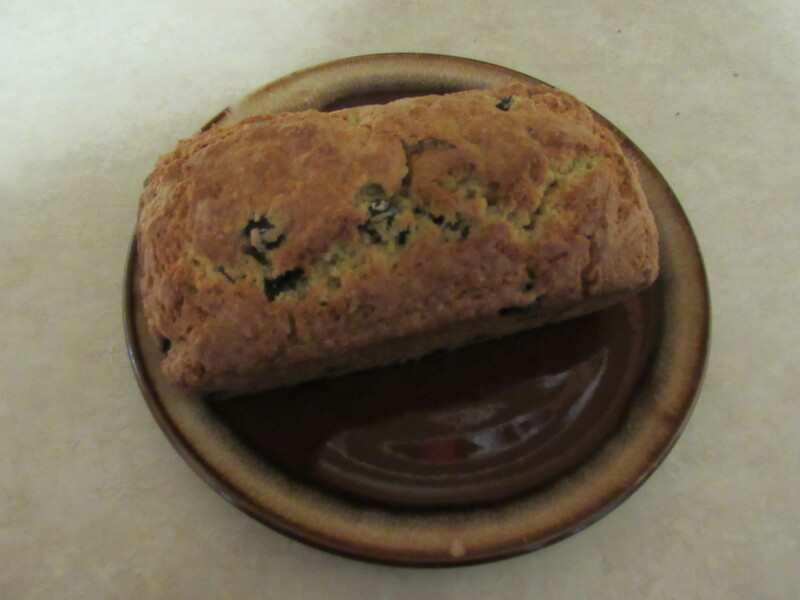 I’ve made this delicious blueberry bread with a couple of modifications from a 1950 Betty Crocker’s Picture Cook Book many times. Preheat oven to 350 degrees. Prepare a bread baking pan with cooking spray. 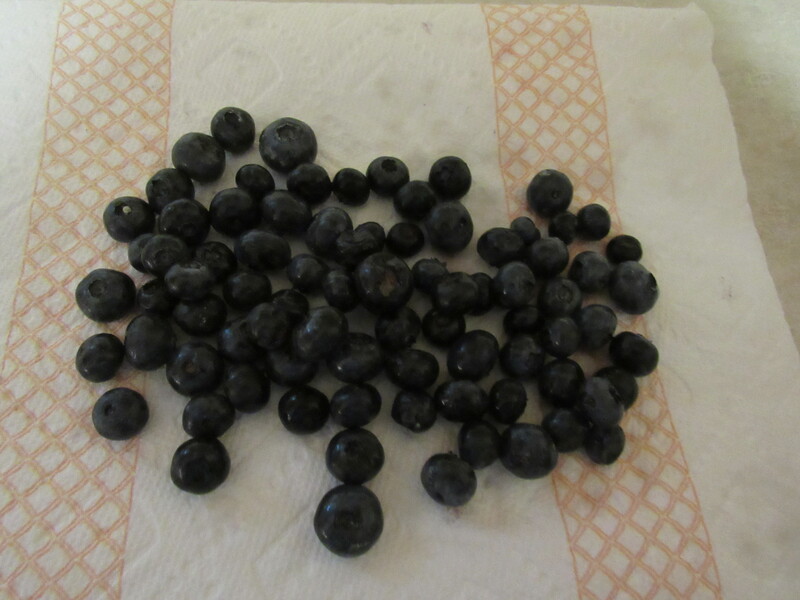 Rinse and drain 1 cup of fresh blueberries on a paper towel. Gently pat them dry. Sift 2 cups of all-purpose flour into a medium mixing bowl. Add 1 teaspoon of baking powder, ½ teaspoon of baking soda, and ½ teaspoon of salt and stir. Set aside. Hint: Add blueberries to the flour. A gentle toss coats the fruit with flour. 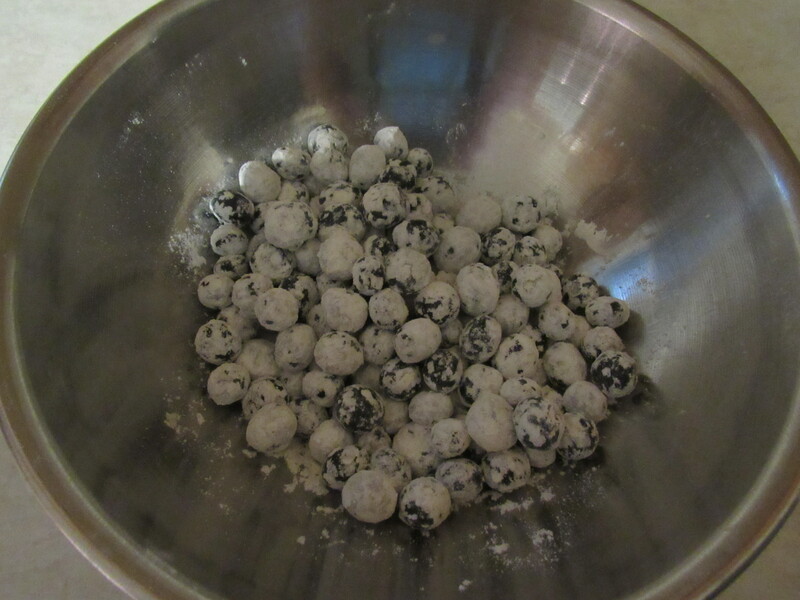 Remove the berries from the flour with your clean hands or a slotted spoon and set aside for a moment. This coating will prevent the fruit from all settling at the bottom of the batter during baking. In a separate bowl thoroughly blend 2/3 cup sugar and ¼ cup butter until all the sugar is incorporated into the butter. Pastry blenders work well for this. (The recipe calls for 1/3 cup of shortening—I always substitute butter for the shortening. 1/4 cup of butter instead of 1/3 works well.) Beat 2 eggs and stir into the creamed mixture. 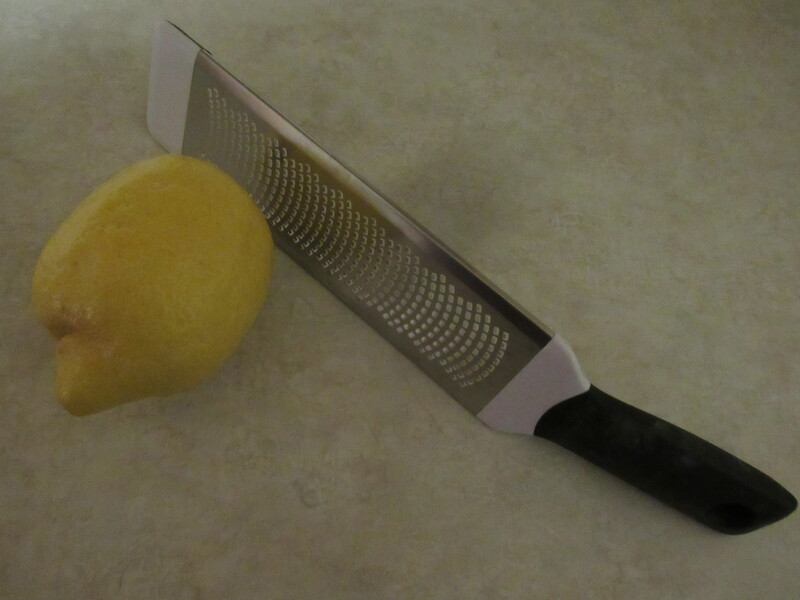 Optional: Add the zest of one lemon and ½ teaspoon of lemon extract to the batter for a light lemony flavor. Gently fold in prepared blueberries to the batter and 4 tablespoons of milk. Stir dry ingredients into the sugar mixture. Another tablespoon of milk will probably be needed to make thick batter. Spoon the batter into the prepared baking pan. Bake at 350 degrees for 50 to 60 minutes. Many people prefer to eat a slice of this delicious bread with cream cheese. It’s also good without it. I substitute other fruits for the blueberries, such as apples, bananas, pumpkin, blackberries, and cranberries. You can also substitute orange zest and orange extract for the lemon—or leave it out altogether. Betty Crocker’s Picture Cook Book, Macmillan and General Mills, Inc, 1950. In May, 2015, heavy rains in the Ozarks created a large sinkhole—40 feet deep and 70 feet across. 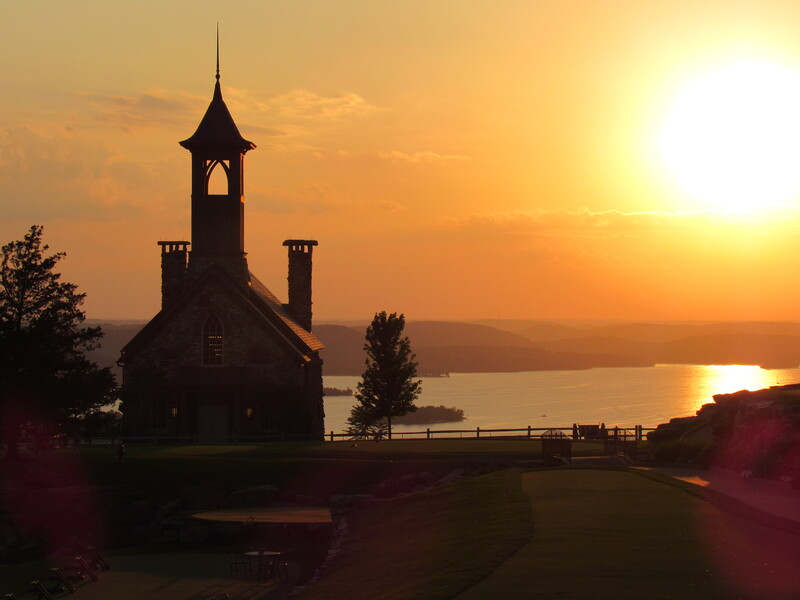 This occurred at Big Cedar Lodge and Top of the Rock Golf Course, located a few miles south of Branson, Missouri. 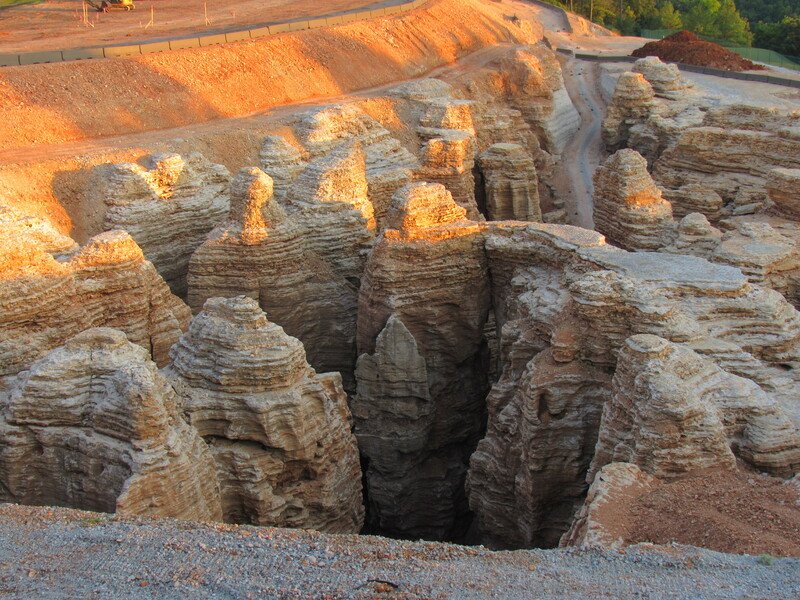 The sinkhole created a beautiful landmark now known as Cathedral of Nature or simply Cathedral. It is awe-inspiring. 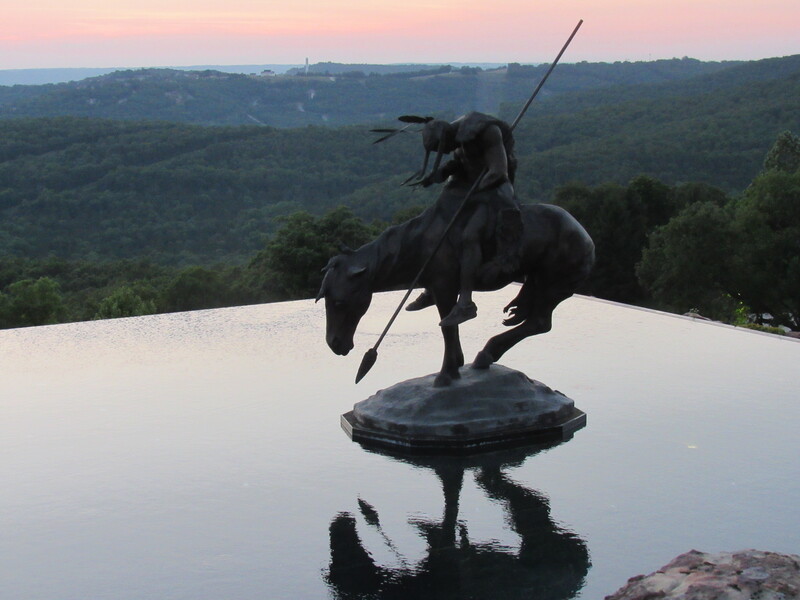 John L. Morris, owner of the property and founder of Big Cedar Lodge, is a conservationist. A big dig is underway. Morris is exploring, hoping to find a secret passageway and a large system of caves. Excavations crew have removed dirt and rock. The original 70-foot wide sinkhole is now 350 feet across. The depth of 40 feet has been expanded to 200 feet. Gorgeous! Visitors can ride a golf cart through the Lost Canyon Cave and Nature Trail. The Sunset Ceremony was a highlight of a recent family vacation for me. A bagpiper plays as the sun sets. A Civil War cannon fires as the sun dips over the horizon. Simply beautiful. We visited the church next to the sinkhole. A floor-to-ceiling window on the main floor faces the valley. The view of the water nestled in a tree-lined valley was breathtaking at sunset. My family loved this place. 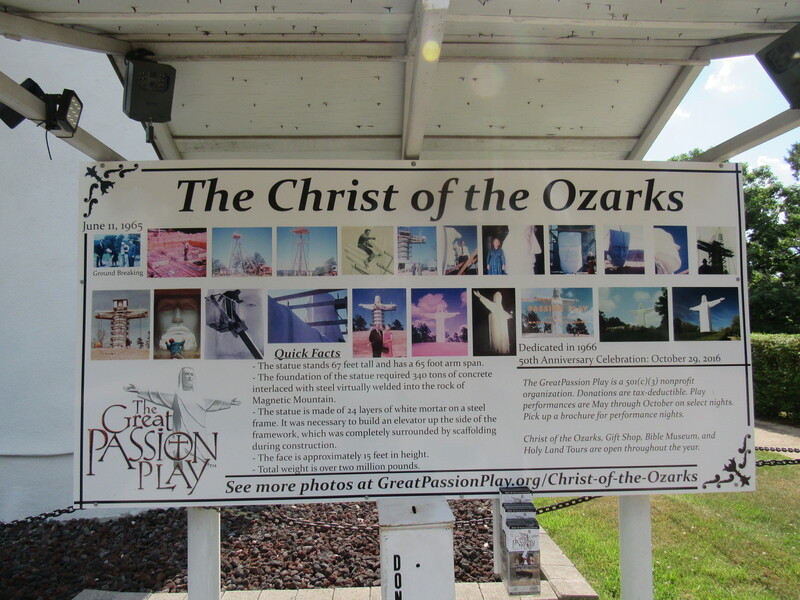 Consider adding this stop to your trip if you are in the Branson area on vacation. “Welcome to the Top of the Rock,” Top of the Rock, 2018/06/18 http://www.topoftherock.com/. A Daily Devotional for Christians in a Hurry: One Minute meditations for women and men. What first drew me to this devotional is the “one-minute” daily read. I am one of those busy Christians in a hurry. I’ll bet you can relate. This book wasn’t what I expected. Daily meditations are short. There is a scripture reference for each day. The author writes in a poetic form, which is inspiring and different from other devotional books. Each day’s topic can be read in about a minute as advertised. The author is transparent in her writing. I found it an easy read for busy folks. Flipping through the fruit section of a cookbook from 1877, I found a recipe for Iced Currants. The cook suggested that cherries and grapes can be substituted for currants. So why not try blueberries this way? Wash and drain ½ cup of blueberries on a paper towel. Separate 3 egg whites into a mixing bowl. Beat them. I used a hand mixer for this easy recipe. The cook suggests using a sieve for the next part, which I don’t own. I used a baking rack covered with paper towels. 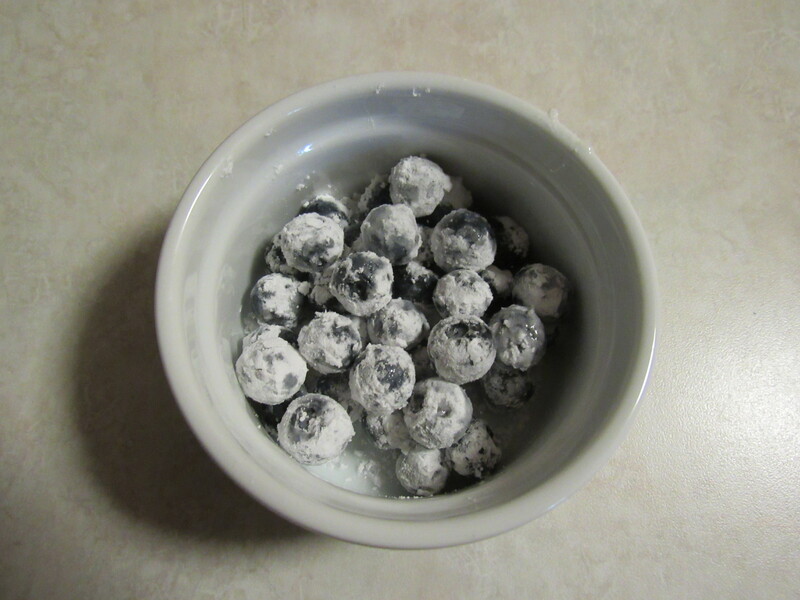 Dip each blueberry into the beaten egg white mixture and set on the baking rack so that the fruit doesn’t touch. Sift a thick layer of powdered sugar over them. The cook didn’t mention waiting for the berries to set so the blueberries still had a frothy coating from the egg whites when I covered them. The froth kept the sugar from sticking. I tried again, this time giving the berries an hour to set before sprinkling on powdered sugar. Still too frothy to hold the sugar coating. What do they say about third time is the charm? 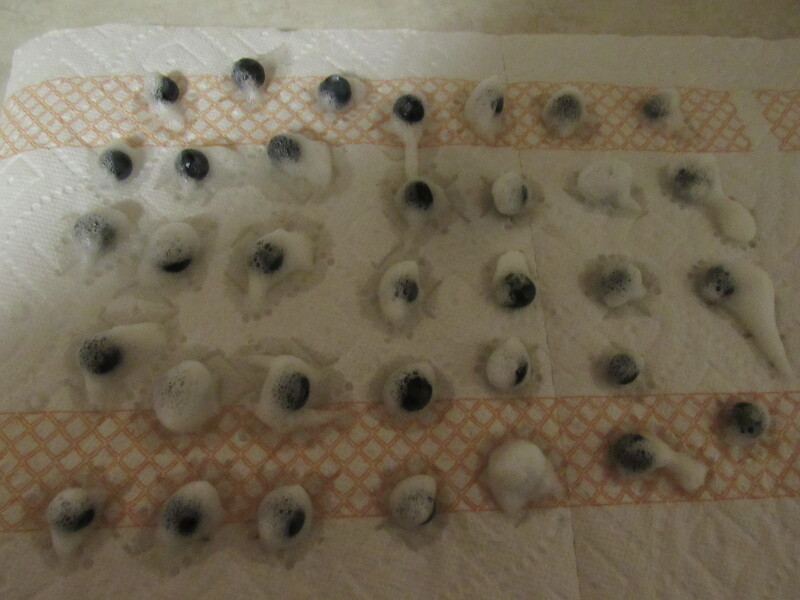 The next time I dipped a batch of blueberries individually into the egg whites, I stayed away from the frothy part. 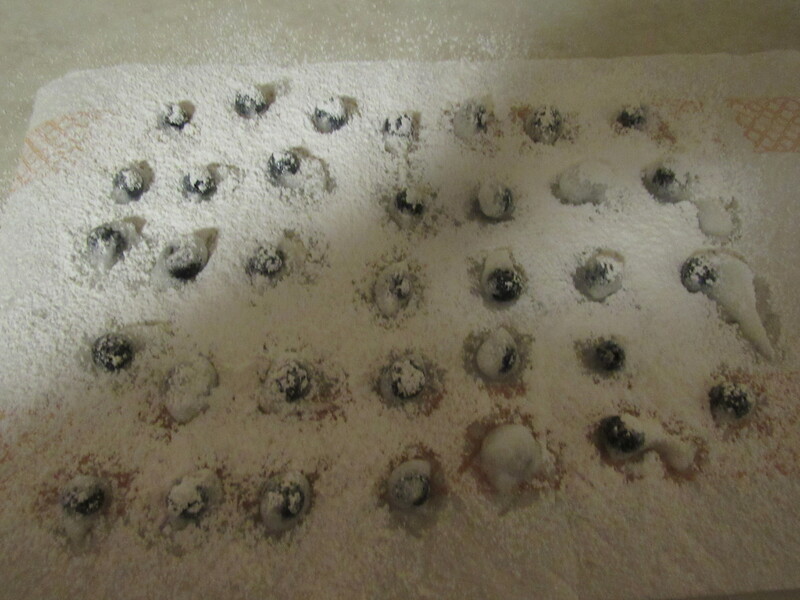 I rolled the blueberries in powdered sugar to achieve an even coat. Perfect! Tip: Don’t beat the egg whites. Give them a little whisk. Don’t sprinkle but roll the fruit in powdered sugar. Delicious! A light, sweet healthy snack in about five minutes. I’d try this with blackberries and raspberries as well. I’d love to hear if you try this recipe with other fruits. A family trip to Branson, Missouri, led us to spend a day in Eureka Springs, Arkansas. The quaint, historical feel of the older part of town made me glad we’d made the hour’s drive. Folks had already discovered healing properties in the springs by the founding of the city on July 4, 1879. Using the spring’s waters, Dr. Alvah Jackson treated and cured his son’s eye ailment in 1856. The doctor also cared for wounded soldiers during the Civil War. 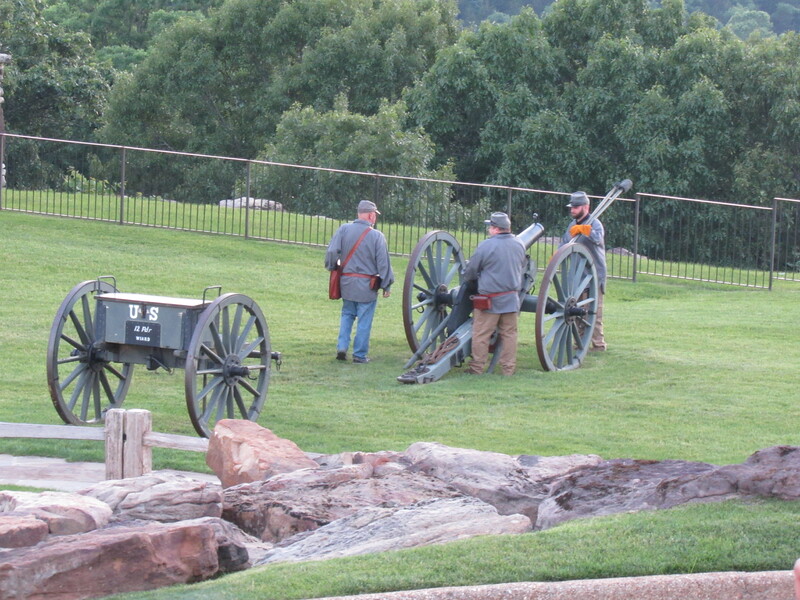 After the war, a few Confederate soldiers recuperated near the springs. 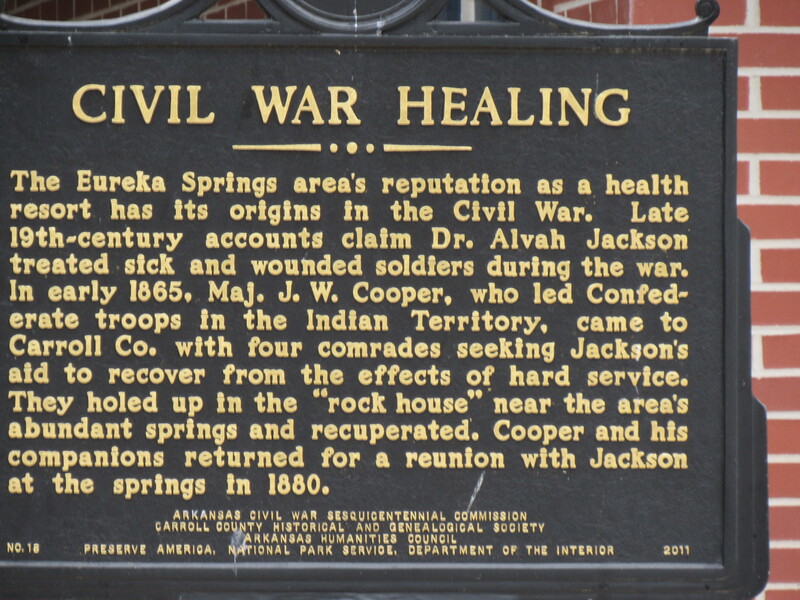 Though the town started with tent dwellings and shanties, thousands visited Eureka Springs for the healing springs. Visitors still flock to the city today. There are many specialty shops in historical downtown. We arrived around noon ready to dine at our favorite restaurant, Mud Street Café. Since it was closed that day, we enjoyed lunch at the balcony restaurant at the Basin Park Hotel. The hotel opened in 1905. After lunch, we shopped before heading to Thorncrown Chapel a few miles away. What a beautiful spot! Built in 1980, the chapel has 425 windows—6,000 square feet of glass. Nestled in the woods, the chapel and its surroundings filled me with a serene sense of peace. Then we drove to an area where the Passion Play is enacted from May to October. (Check the schedule for dates and times.) 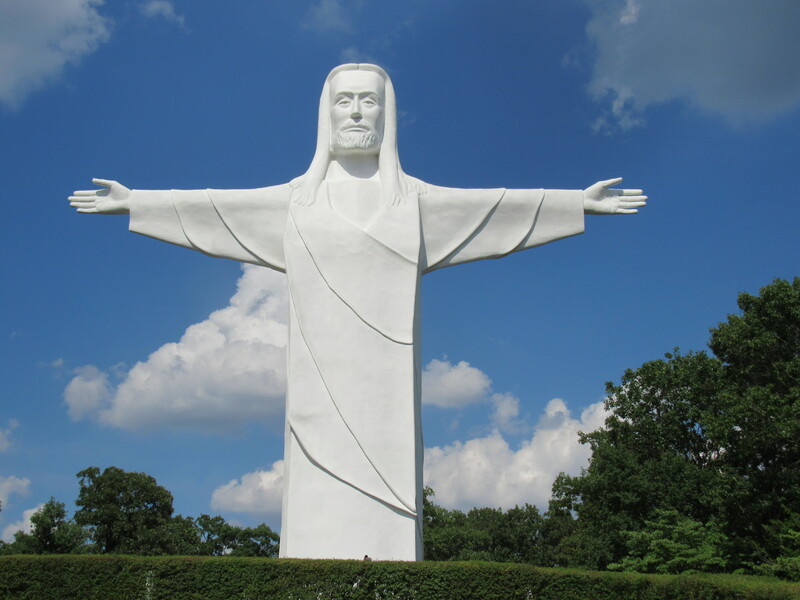 The Christ of the Ozarks is there, standing 67 feet high. Impressive sight! We’ll have to return to attend The Great Passion Play. I’ve heard it’s worth the trip. All in all, a fun place to spend a day. “Eureka Springs History,” Eurekasprings.com, 2018/06/18 https://www.eurekasprings.com/historical/. 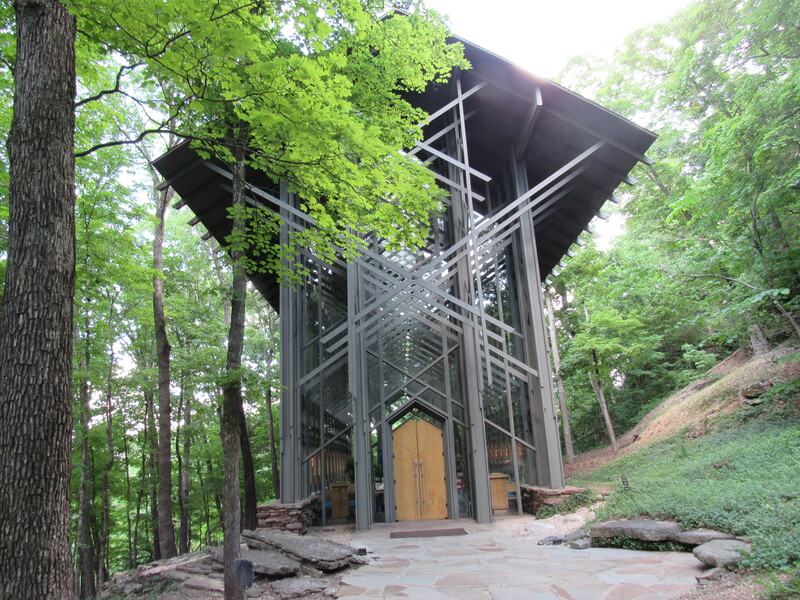 “Thorncrown Chapel,” Thorncrown Chapel, 2018/06/18 https://thorncrown.com/. This book was an encouraging read. 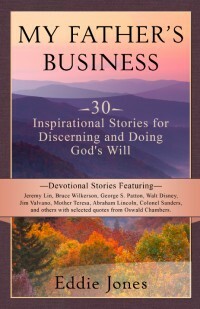 I loved the examples from well-known people in leadership, ministry, entertainment, military, artists, and other walks of life who sometimes learned about God’s Will the hard way. I can relate to learning the hard way. There are chapters on sacrifice, gratitude, perseverance, imagination, endurance, and many other helpful topics for Christians. Bible verses and quotes from Oswald Chambers, author of My Utmost for His Highest and other books, begin every chapter. These quotes were insightful and inspiring. Scripture references for a time of reflection end the chapters. The stories used illustrate the author’s point beautifully. I read this book in a couple of days, but it would also be an inspiring way to begin or end your day. I’ve read books by this author and always enjoyed them. I will look for more! I go through seasonal cycles in cooking. Right now, I’m looking for recipes with blueberries. I’ve made this delicious blueberry buckle coffee cake from a 1950 Betty Crocker’s Picture Cook Book several times but it’s been a while. Preheat oven to 375 degrees. Prepare an 8 x 8 baking pan with cooking spray. Rinse and drain 2 cups of fresh blueberries on a paper towel. Gently pat them dry. Sift 2 cups of all-purpose flour into a medium mixing bowl. Add 2 teaspoons of baking powder and ½ teaspoon of salt and stir. Set aside. In a separate bowl thoroughly blend ¾ cup sugar and ¼ cup butter until all the sugar is incorporated into the butter. Pastry blenders work well for this. (The recipe calls for ¼ cup of shortening—I always substitute butter for the shortening.) Add 1 egg, ½ cup milk, and stir. Set aside. Stir dry ingredients into the sugar mixture. Once combined, gently fold in the prepared blueberries. Pour the thick batter into the prepared baking pan. Next, prepare a crumb mixture as a topping. Mix together ½ cup sugar, 1/3 cup all-purpose flour, and 1 teaspoon cinnamon. (The recipe calls for ½ teaspoon cinnamon—I’m always generous with this spice.) Then thoroughly blend in ¼ cup of butter with a pastry blender. Sprinkle this crumb mixture over the batter. 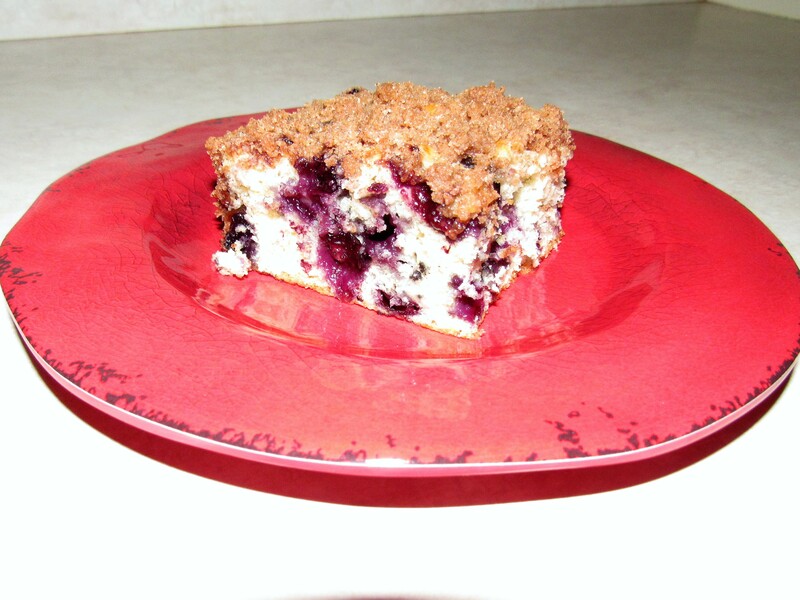 This is a delicious blueberry coffeecake for breakfast or brunch.